To debate the role of Freemasonry in our modern societies is a task not free of difficulties and clearance. It is above all, a major challenge and an issue that every mason should make his own. It’s although a cyclopean and seductive trend to talk about. 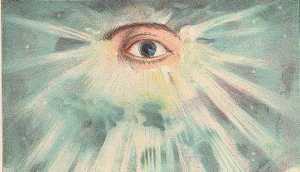 Cyclopean, because the profane dimension of Freemasonry and its impact on civil society are problems of major importance, with several implications, part of them to be cleared up. Seductive, because as men of reason, free and well bred, masons can’t avoid to take a stand on what really matters in human life: the pursuit of happiness. A well-known Brazilian mason writer Rizzardo da Camino, debating the symbolism of the 8th Degree of SAAR, comments in one of its last books that:‘’the moral deduction of the teachings of this degree is the study of the real foundations in what would stand the Building of Human Society. This study should clarify the rights of property and the obligation to work, in a way that the Brotherhood would be visible by their work among men. The labourers should struggle always against ignorance, hypocrisy and ambition, looking for the proper balance between property, work, and capital, as main sources of all prosperity. The Human Social Building is the main issue of this degree and that’s why the good labourers have the obligation to look for the means to build society with solid and permanent foundations. To this end, they should not tolerate indifference, which is the evil enemy of all human feelings’’. According with this enlightneed words, I do believe that Freemasonry parallels in the coming 21st Century with the need to balance and conciliate two challenges: the challenge of Tradition and the challenge of Modernity. Both challenges are like the two twin bedrocks that hold up Solomon Temple, according with our believes, giving the Temple its solidity, performing the connection between Heaven and Earth. They have, explicitly, different symbolic meaning, they are substantially diverse. The Temple falls down without them. Firstly, there is no Human institution that could survive without Tradition, without a common history, shared believes and convictions that keep it alive. Our Tradition bind us to the Sovereign Order of the Temple, to the guilders and corporations of the Middle Ages, and is reflected on the Antient Charges, Landmarks, customs and uses of the Craft, that goes back to the Fourteen Century, according to some authors. To the Eighteen Century, according with others. These Landmarks have in common, the preservation of a Brotherhood of Chevaliers, gathered by the pursuit of some fundamental principles and ethic values of conduct: exemplary rectitude, tolerance, faith on the Creator, benevolence. It’s not the occasion to discuss what are really the true Landmarks, if those that Anderson join in its Constitution or those referred by authors like Lecerff, Pound, Simons, A. Mackey or Grant. I just make a short mention to those referred in the Constitution of the Grand Regular Lodge of Portugal as ‘’The Twelve Rules of the Regular Freemasonry’’ : 1) The believe of God as the Grand Architect of the Universe; 2) The strict observation of the ‘’old duties’’ or the Landmarks of our Craft; 3) The believe of Freemasonry as a collective of free and well bred men, that pledge themselves to apply an ideal of Peace; 4) The dedication of the Craft to the moral elevation of Mankind, through the moral improvement of their members; 5) The scrupulous execution of rites and the Masonic symbolism; 6) The respect for every opinion and the forbiden of any political and religious discussion within Lodge; 7) The initiates and all obligations shall be taken on full view of the open Volume of the Sacred Law, which means that the revelation from above is binding on the conscience of the particular individual who is oathing; 8) The Three Great Lights of Masonry: the Volume of the Sacred Law, the Square and the Compasses shall always been exhibited when Lodges are at work; 9) The membership of the Lodges shall be composed exclusively by men of honour, adults and with good reputation; 10) The devotion to Motherland, the obedience to law and to the legitimate authorities and dedication to labour; 11) A fair, exemplary and healthy conduct in the profane world; 12) The support and brotherly protection to Masons. These twelve rules are principles that masons stand for, for ages. Not because they are artificial, dogmatic or impositive values to self-consciousness, but because they are rules of an ethic and righteous conduct, aligned with the principles obeyed in any harmonious and balanced human society. As rules of behaviour and moral standards, they transcend the diversity of human communities and should be followed as laws of conduct to every Obedience, wherever they are Ancient, Traditional or Modern. I should conclude this point by stressing that Craft as one of the oldest Spiritual Obediences of our civilisation strengths itself by preserving those moral standards that are truly their foundations through the ages. Standards in whom the Craft reviews herself in their no dated formulation. The challenge, I believe, is to accept univocally, the universality of these principles as common ground of our Orders, which don’t restrain the need to interpret them, according with the problems and contingencies of our time. This is the first challenge, that I name the Tradition Pillar. The second challenge is of the Modernity of Freemasonry as a Moral Order, a reference social group, that is a moral and social elite. The creation of elite in modern societies is an enthusiast subject, on modern sociology and political science. Contributions like those of Harold Lasswell, C.Wright Mills and Karl Mannheim are fundamental to the clearance that and I quote «democracy doesn’t imply that there aren’t elites. Implies that there is a specific method of elite formation. This is with the principles of equality and autonomy of all individual, fundamental characteristics of modern democracy». Luis Nandin Carvalho, Grand Master of the Grand Regular Lodge of Portugal(GLLP-GLRP), had precised this sense in the occasion of the Winter Solstice Session of our Grand Lodge and I quote: we regular masons don’t live in caverns or ghettos, out of society. We live within society, we are an intimate part of it. We have special responsibilities that we assume as privileges, because they are moral and ethic obligations. Masonry is not and cannot be passive. Must act internally and externally, esoteric and exotericly, to preserve now and in the future, through the creation and preservation of social conditions that allow their members and community as a whole, to address the objective conditions to human dignity, self-realisation, achievement of individual happiness. That’s why Freemasonry should be a school of ‘’elite’’. Must be an elite that develops a social and appreciated function, with responsibility and efficiency on the education of a Man free from tomorrow’s submission. A Man not constraint but master of his Future». There is, I believe, a clear demand on return of man to its social dimension, that come from the Classic Civilization, from Ancient Greece to Rome, that is concerned with the matters of the ‘’polis’’ as with its individuality. As Aristotle’s told us two thousand and three hundred years ago, in Polity (Republic), «man is naturally a political being, because it was created to live in society. It is more than bees or other species that live in aggregated status. And it is so clearly that that man there isn’t by nature or is a degraded creature or a superior being; that one who can’t give nothing in common to society, or don’t have any need don’t make part of the City – must be a brutish or a god – is not human». This return to his most self-deepen personality is without refusal a central matter of our time and Masonry, as institution, can not pass aside it. We live in a society in crisis. Alain Tourraine, the famous sociologist, argue about it that is time to give back to every individual the ability to combine in his personal life, the forces that are confronting at world level: the preservation of individual autonomy facing the global and uniformed discharacterization of life; the conflict between singularity and unity, between participation and totalitarianism. In this sense, masonry has a supreme need to live for inside and again the problems of social construction that point out the way of progress in our societies and that as institution is linked to: the Enlightment, the American Revolution, the Charter of Human Rights, the United Nations Charter, the UNICEF and so many. Recently, the Grand Master of the Grand Lodge of Chile speaking out in the Meeting of the Grand Masters of Regular Masonry, in the United States, stress that «masonry is not an organ of a party, and is strictly forbidden any political or proselyte discussion in lodges; but we should stimulate masons to fill important positions on the evolutionary and integrator process in actual societies. Grand Lodges should share some common concepts like: opposition to any tyranny that denies or restricts, in any way, human equality and individual freedom to a complete performance of democratic rights; a clear support to the right of expression and to a fair existence; the respect to the sovereignty of nations; recognition of democracy as system of government and individual aspiration to cultural improvement of any society. Democracy and masonry are substantial and active systems of social progress of Peoples, because both act as source of liberty of speech and conscience and as ferme4nt to interior and external peace». I believe that these words reveal particularly well what are the dimension of the problems and the trends that are facing an acting and not-obsolet masonry, that with discretion that can let down its values to civil society, may give an important contribution to the building of a more fair and perfect society. That’s what I call the second challenge the Modernity Pillar. Naturally, every Masonic Obedience has, on the light of its own experience, a bigger or lesser sensibility to what level on civic and communitarian activity could assume and perform. I believe that a positive contribution is urgently needed if we want to shorter the problems that we face nowadays. These new problems need new answers and need Men spiritually well awakened and prepared to face them. I don’t contest that has been a clear vault, boundary between a school of thought in Masonry – the Anglo-Saxon School – that refuses any organised participation in the matters of the polis because consider it something not included in the aims and mission of Freemasonry and so out of the action of their fellow-members. And another school of thought – the Mediterranean or Latin school – more awakened to the problems in societies, where are ostensive differences of wealth, where social exclusion and poverty reigns as main social flagellula. This school stands for an engaged activity of masons on civic associations, solidarity groups, environment pressure groups, or human rights non-government organisations. I stand as Portuguese and Latin for this last sort of attitude and orientation for the Craft in Southern countries, namely Portugal. I don’t think this participation, this engagement, as going against our creeds, against the oaths we made for impartiality and no politics. More clearly I think that for Masonry to be respected, nowadays, as an Obedience and an Order, but also as a front-running institution, their members should surpass as reference of citizenship, as standards of rectitude, as a leadership to be followed. Naturally, our American and British Brethern that through ages concede us the Light of our route, probably have a more closed, orthodox vision on this point, of no involvement in society. Vision - I presume - that is justify by the history of Protestantism on these societies and from the personalist doctrines of Lutero and Calvin. Reality is, that masonry live in those countries in open light, without shame, just near the political and State apparatus. This situation is much different from what happens nowadays in Mediterranean masonry, where membership is seen as something to be censured and masonry ‘’secrecy’’ a subversive topic to legal and constitutional order. Freemasonry live side-a-side the system in England and in United States. The honour and integrity of State is not in question, by that. In Southern European societies, in Latin America, in Asia this is not the question. I argue favourably that National and Regular Masonry must find its own way, departing from tradition to modernity, making it in syntony with the problems of their time and society. I conclude my arguments by stressing that the civic intervention - political in the genuine sense that goes back to Aristotle’s, but also to Saint Thomas Aquinas - could be a meeting point for a Masonry to the 21st Century. Let us never forget, Mr. President, that our Organisation was founded in the name of "We, the Peoples" - the words I have chosen as the title of my Report. We are at the service of the world's peoples, and we must listen to them. They are telling us that our past achievements are not enough. They are telling us we must do more, and do it better.